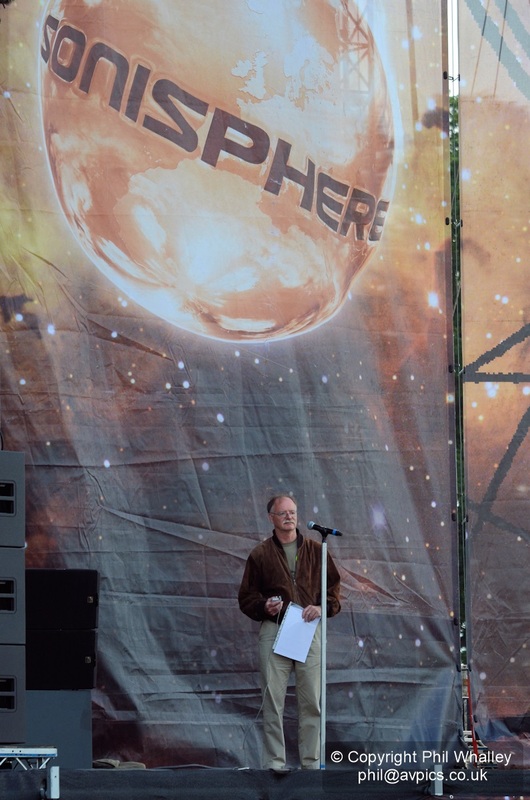 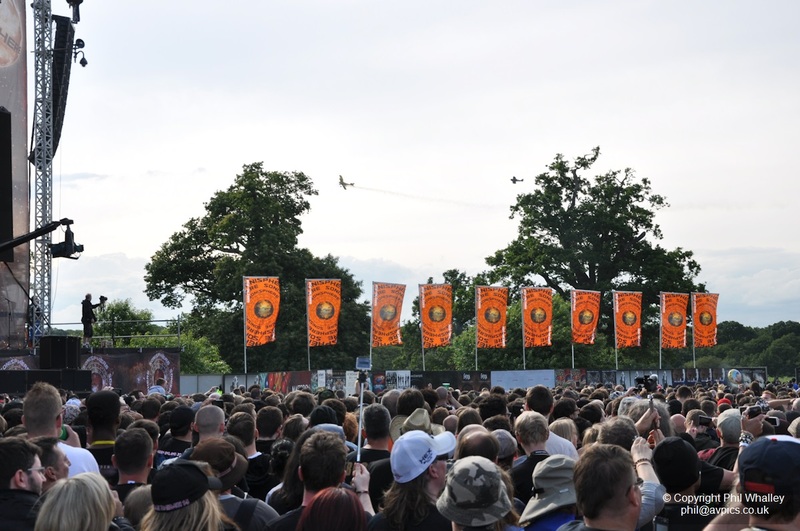 One of the most unique events commemorating the centenary of the beginning of the First World War took place in the grounds of Knebworth House on 5 July as part of the Sonisphere rock festival. 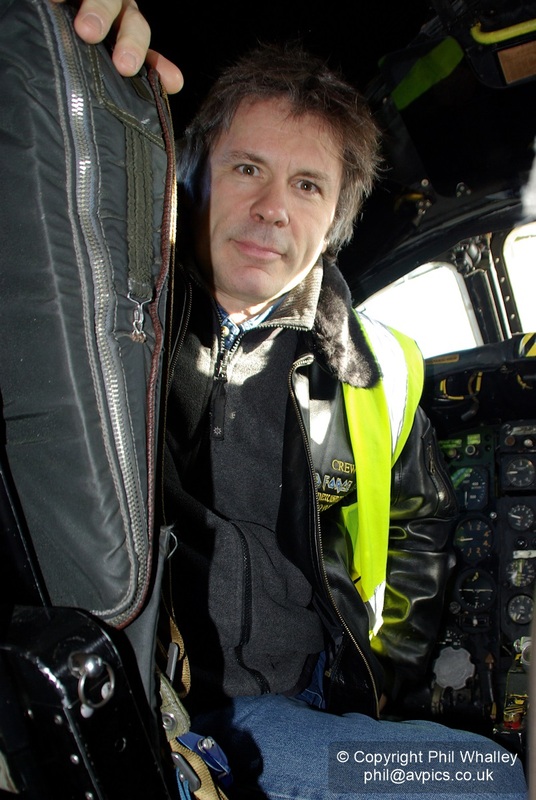 As a prelude to Iron Maiden’s set, and incredibly involving the band’s lead singer Bruce Dickinson piloting his Fokker Dr.I Triplane, nine reproduction British and German First World War fighters displayed in a dogfight over the estate. 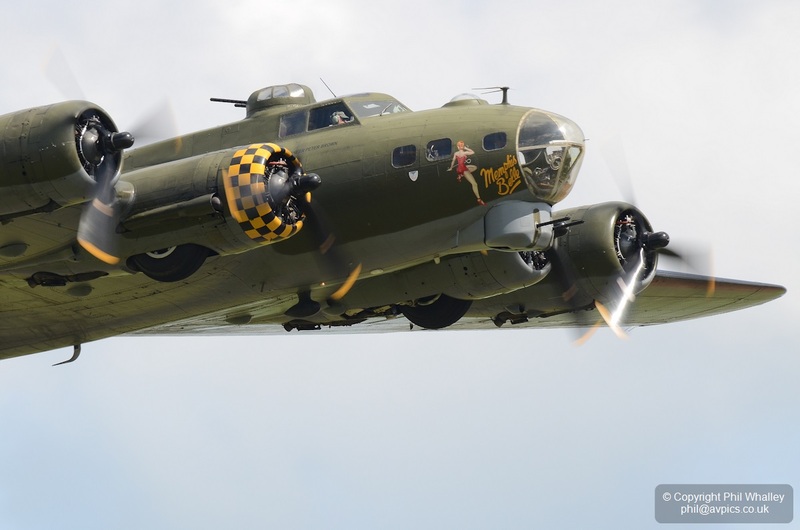 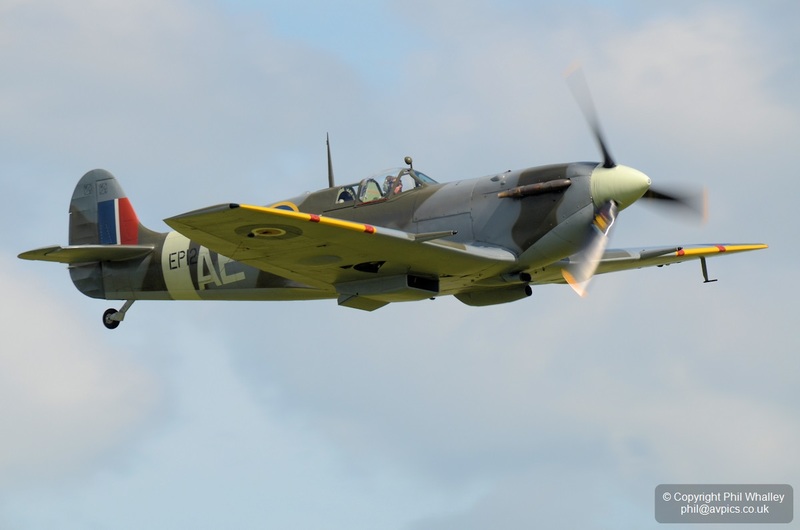 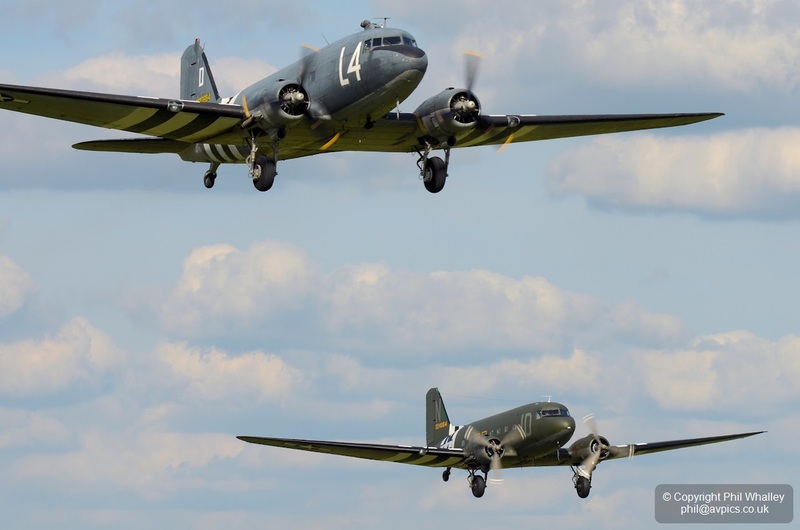 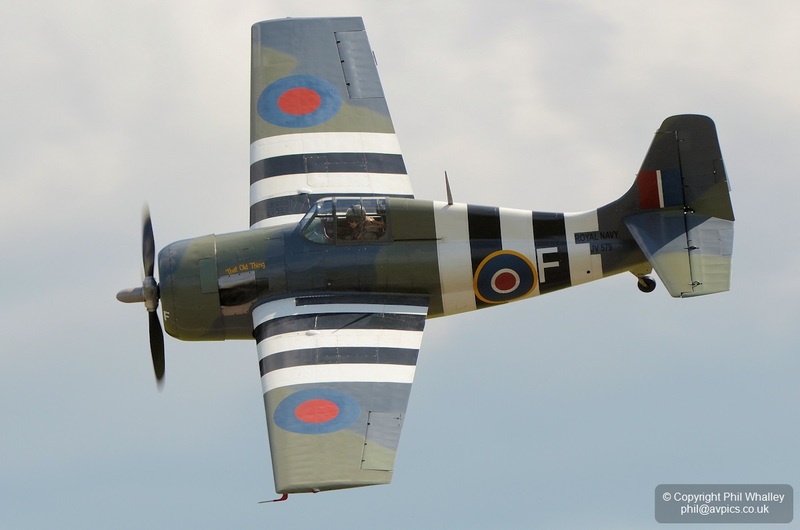 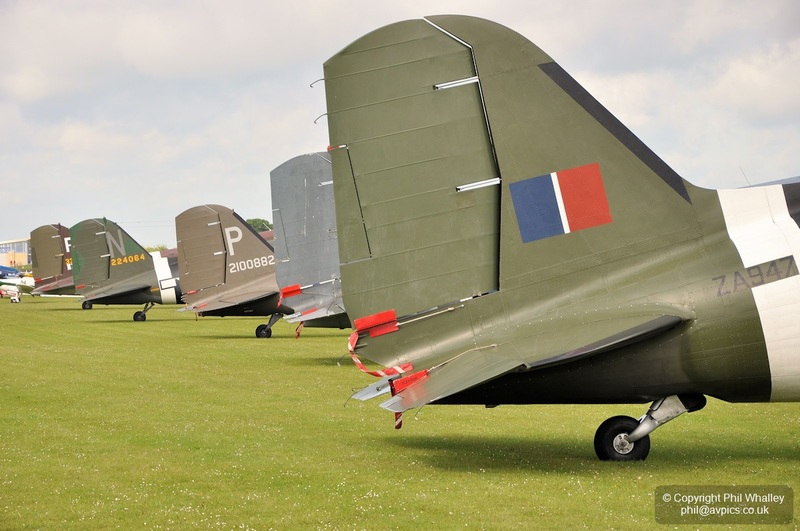 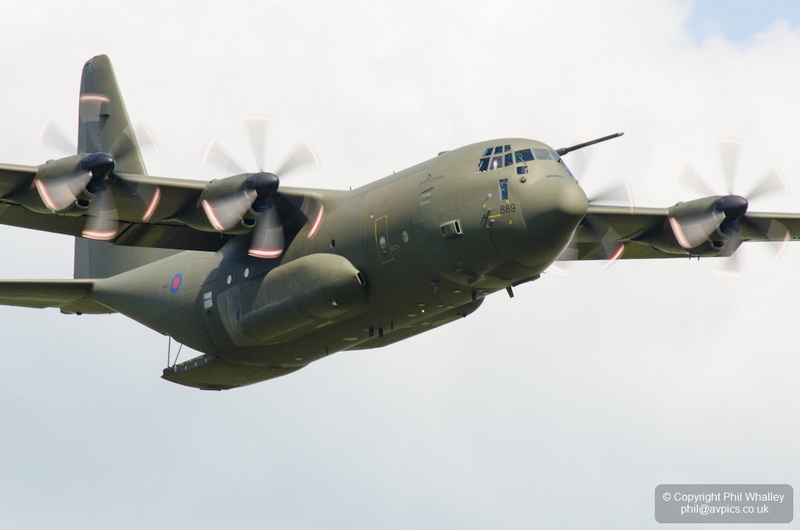 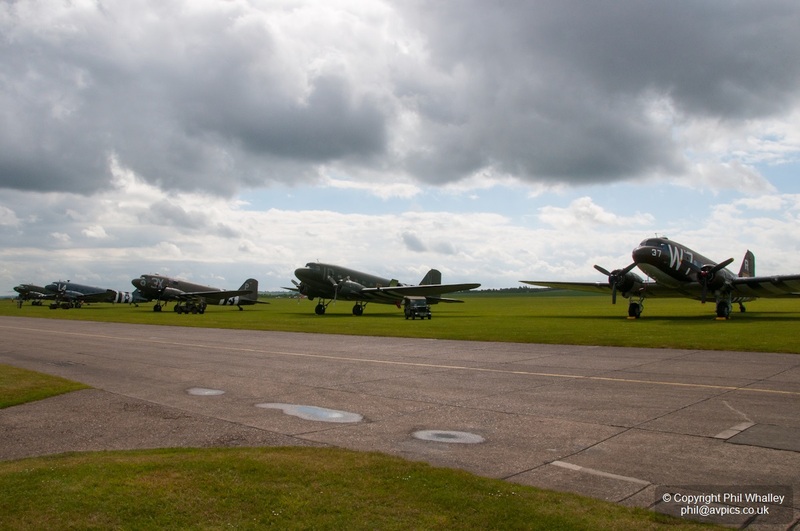 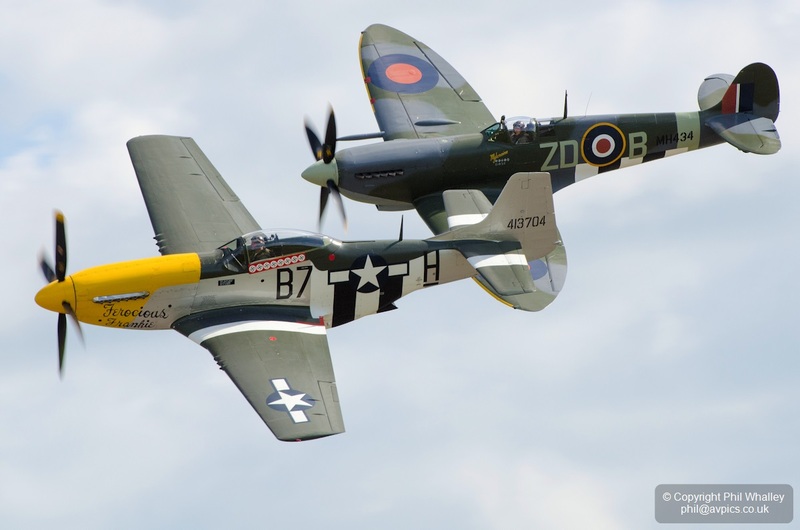 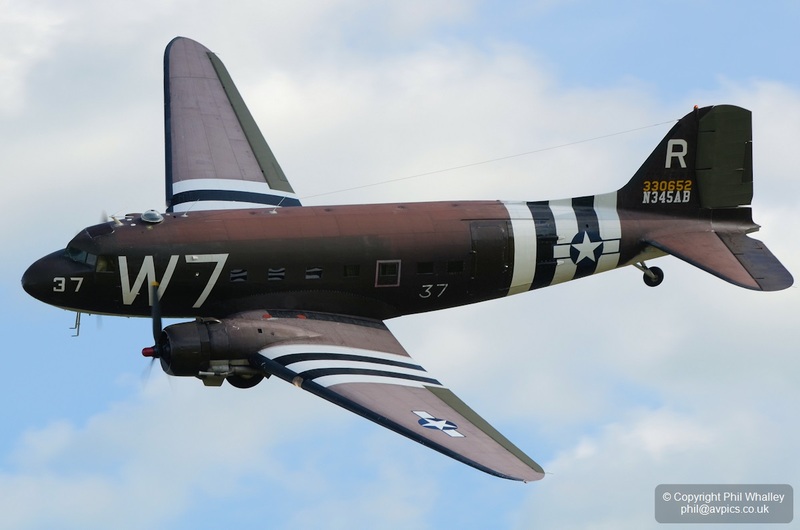 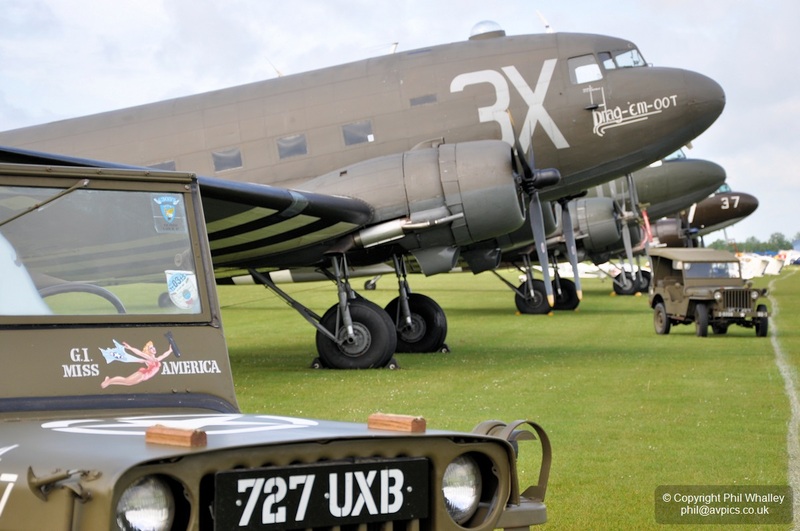 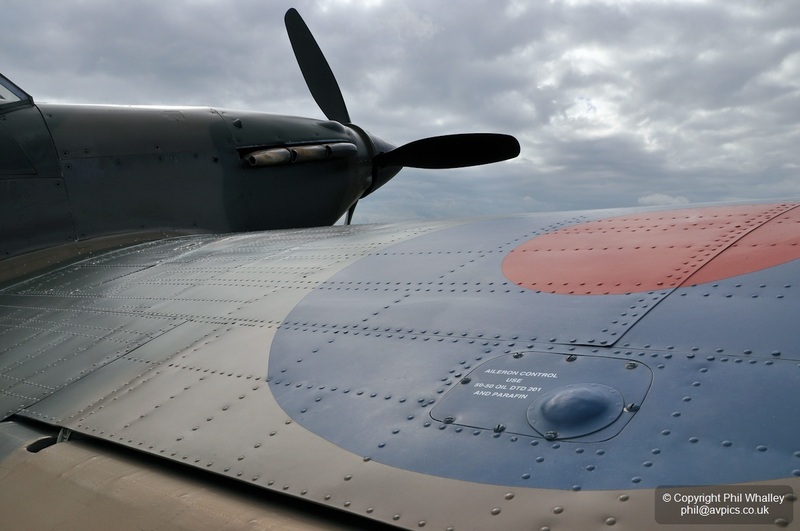 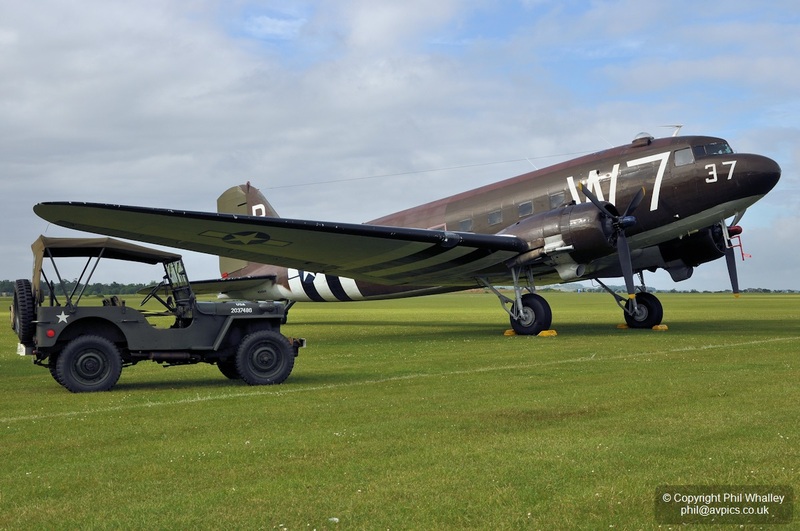 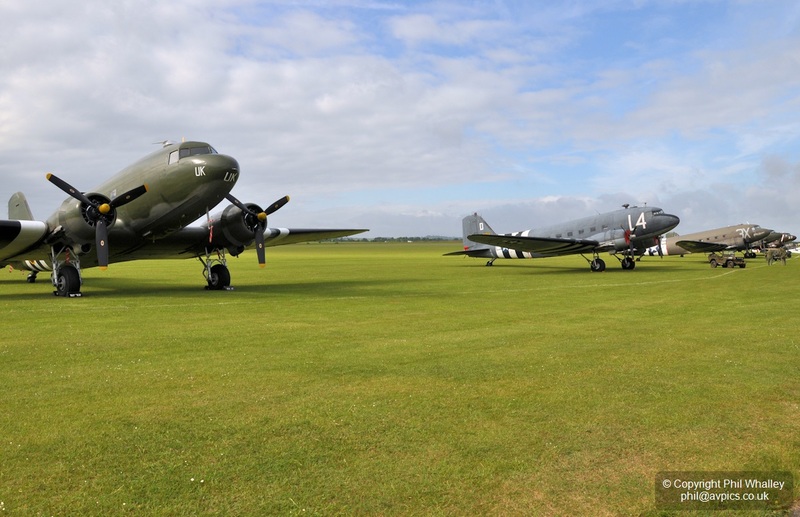 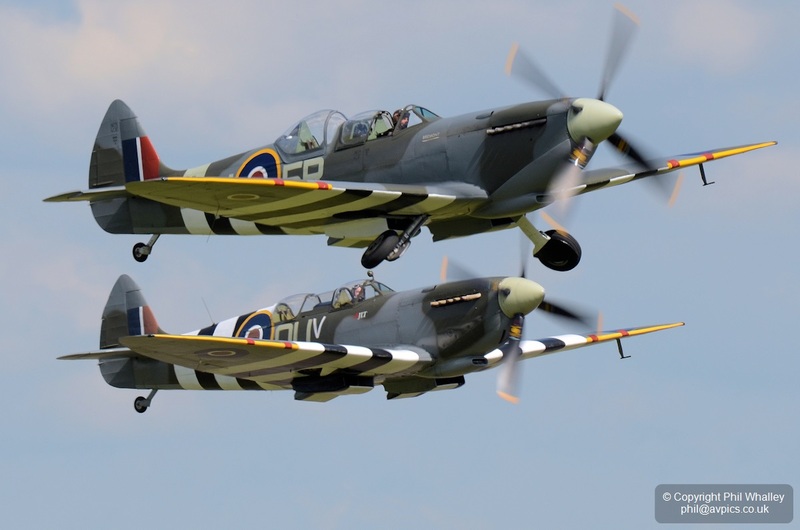 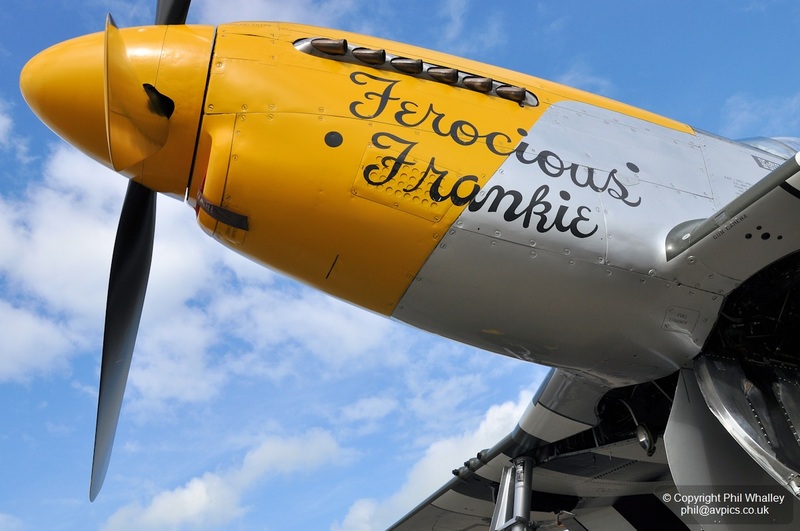 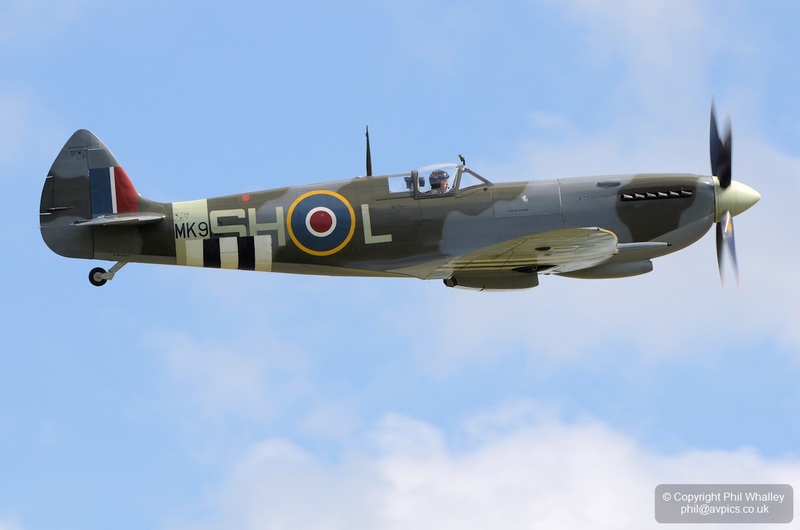 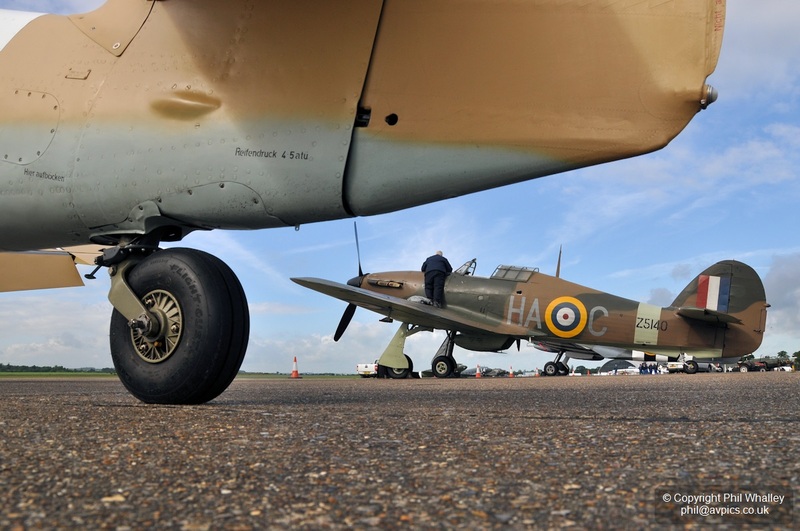 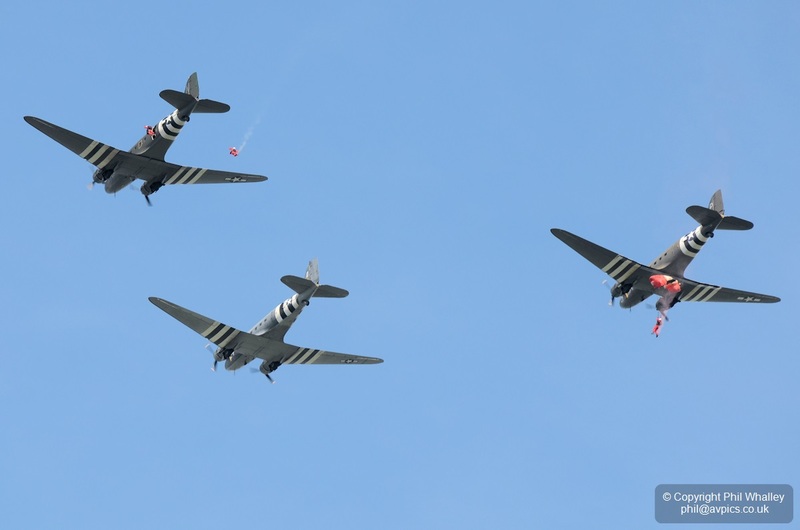 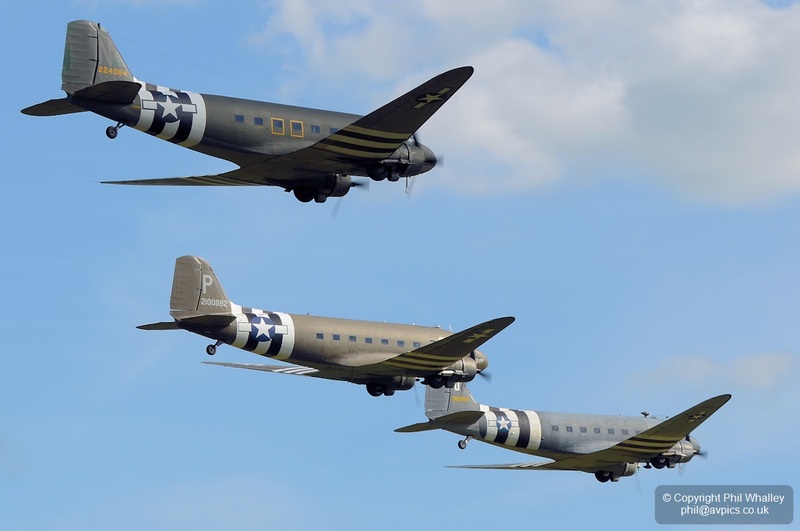 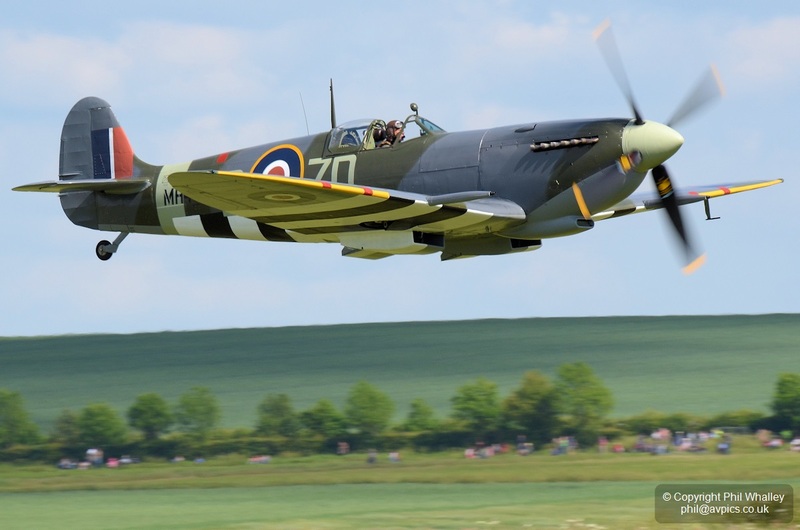 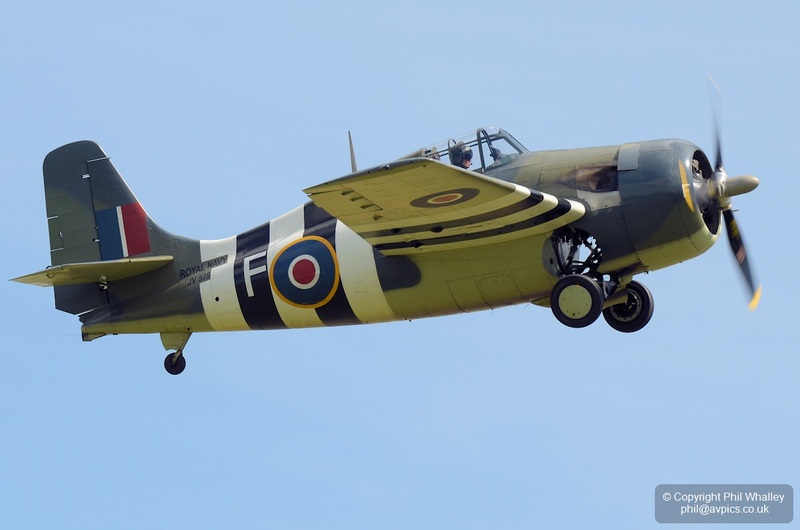 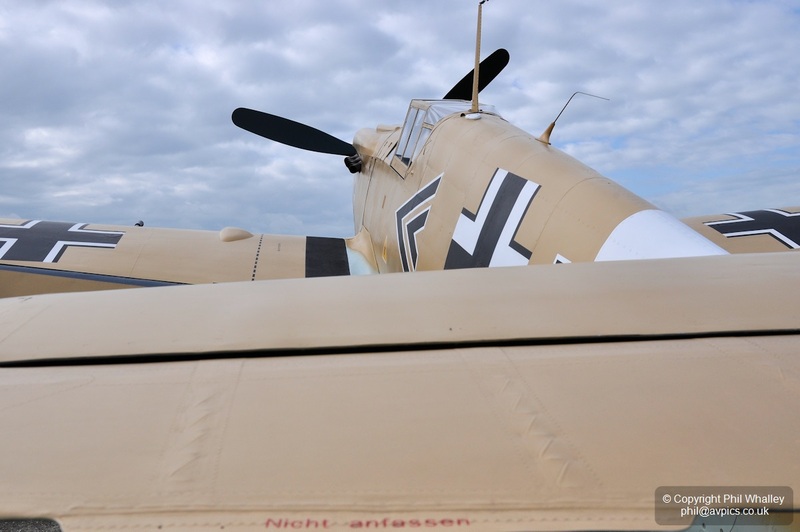 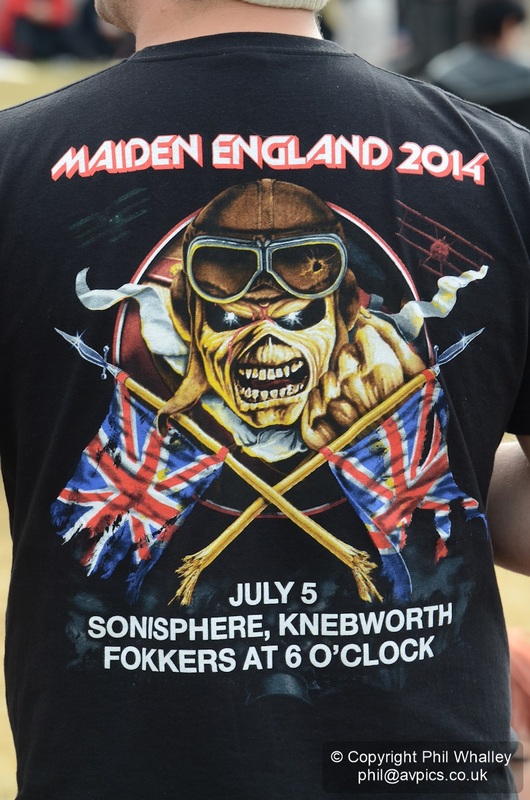 Their appearance was introduced by a short film played on the big screens of the aircraft apparently starting up and departing their airfield bound for Knebworth and backed by the band’s song titled Paschendale – itself an epic track based around that WWI battle. 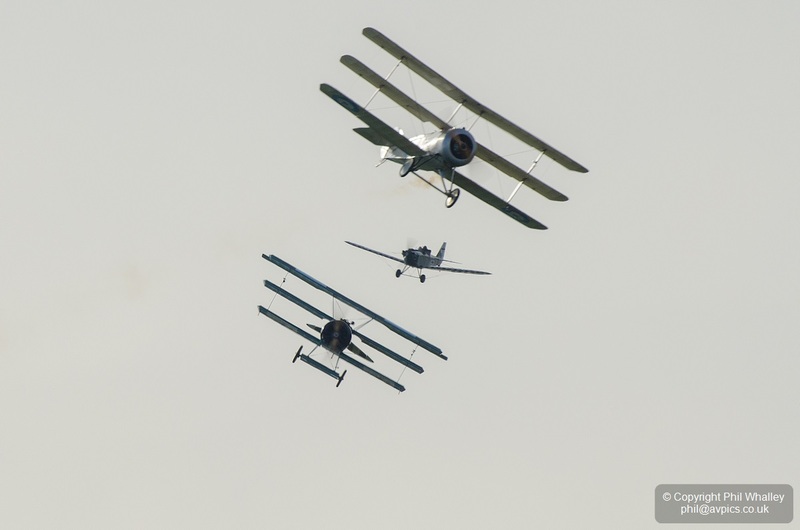 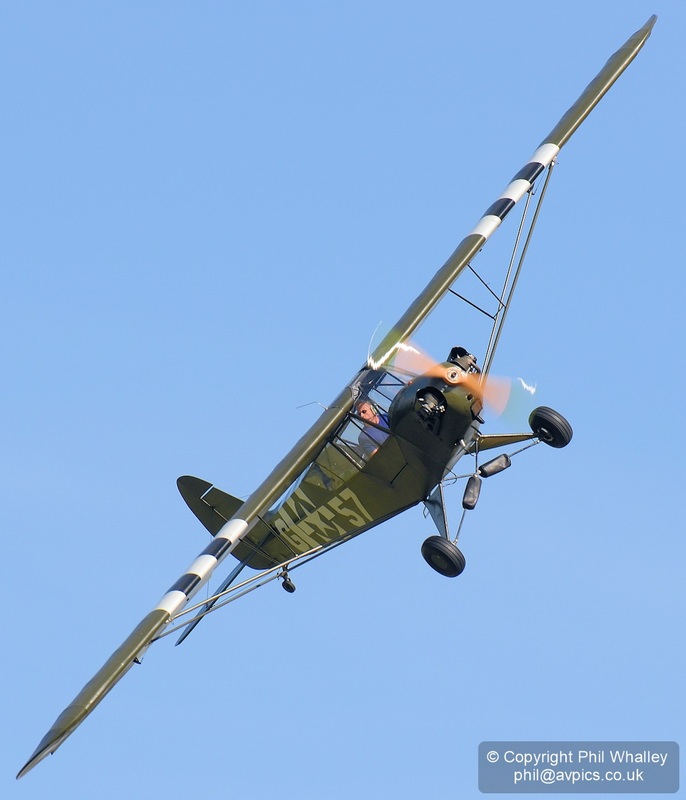 Dickinson is an experienced pilot and bought the Fokker Triplane earlier in the year, following which he joined the team which displays at airshows and in commemorations, and who are particularly busy in this centenary year. 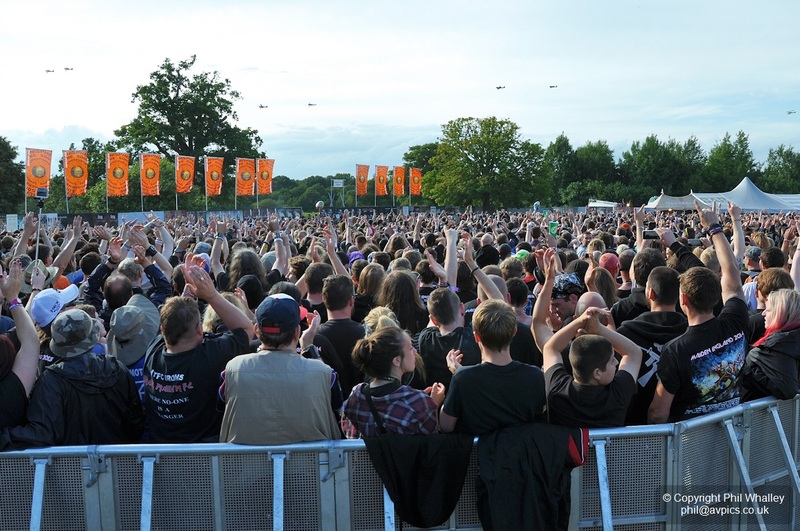 The aircraft operated for the event from Henlow and after returning from Knebworth Dickinson journeyed back to Sonisphere by road to take to the stage with Iron Maiden as the headline act for that night of the three day festival. 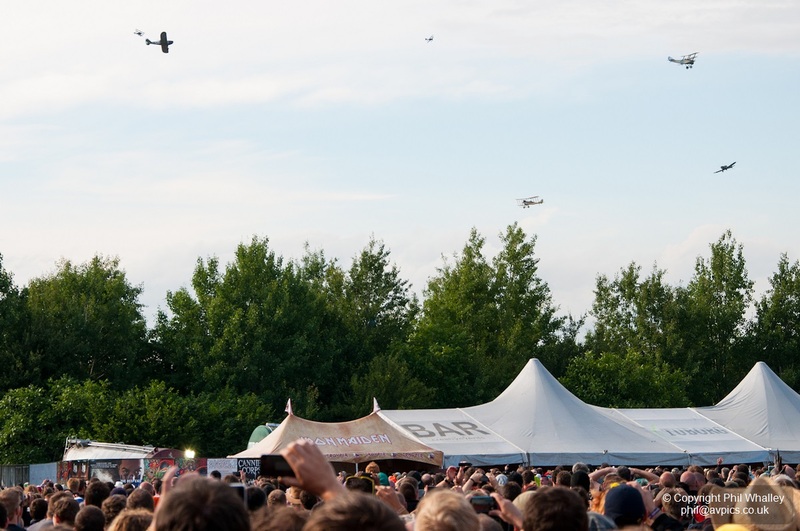 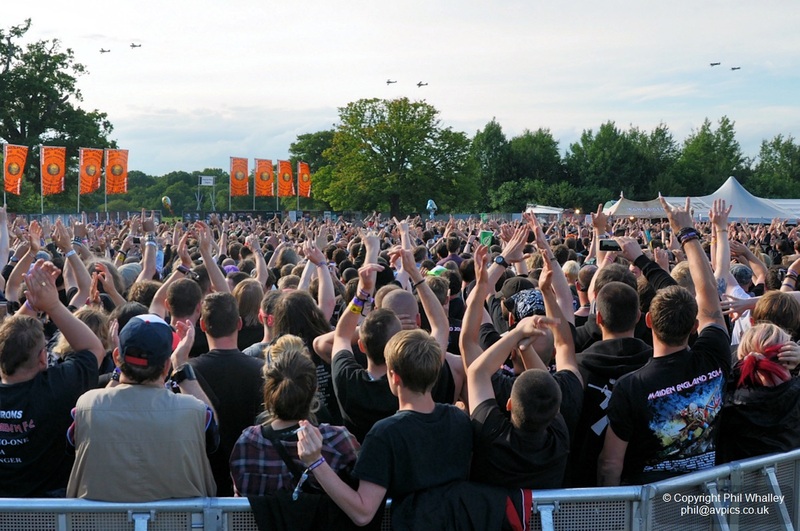 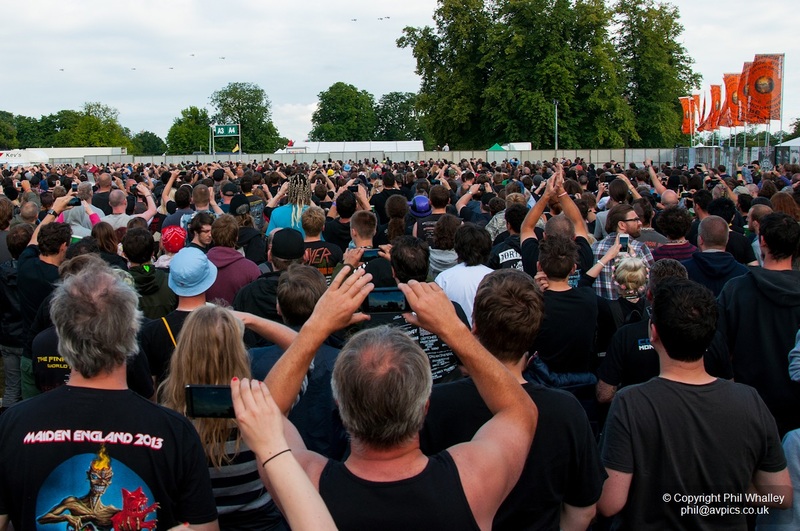 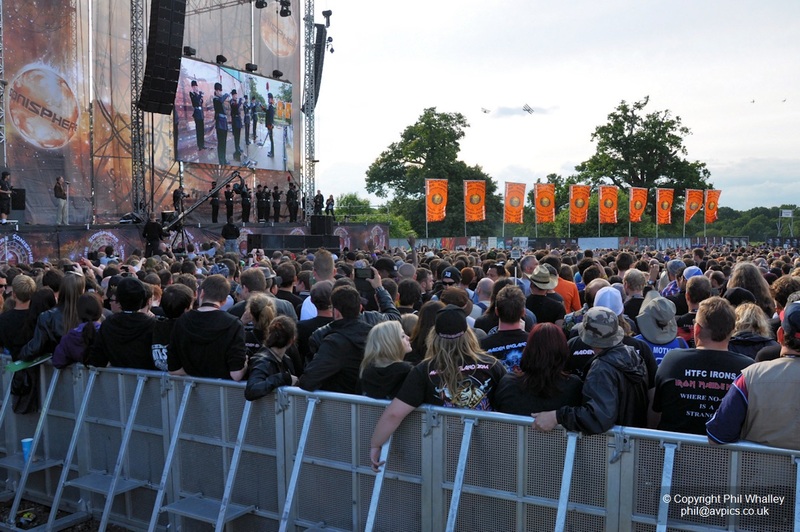 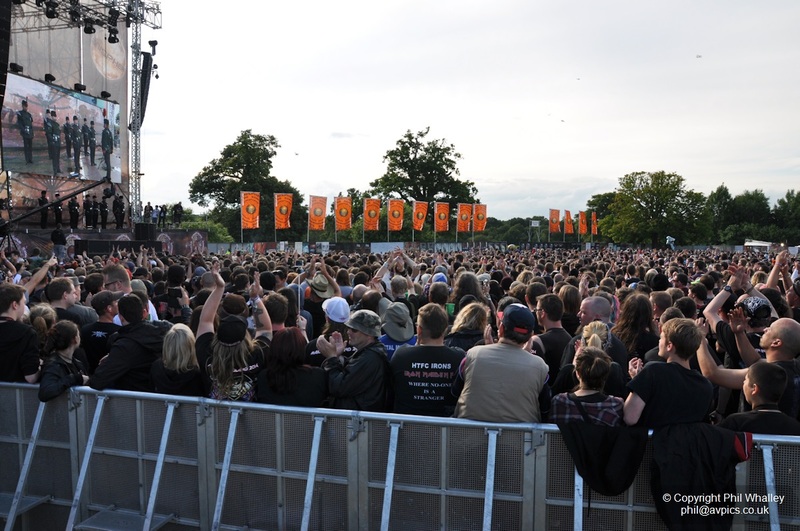 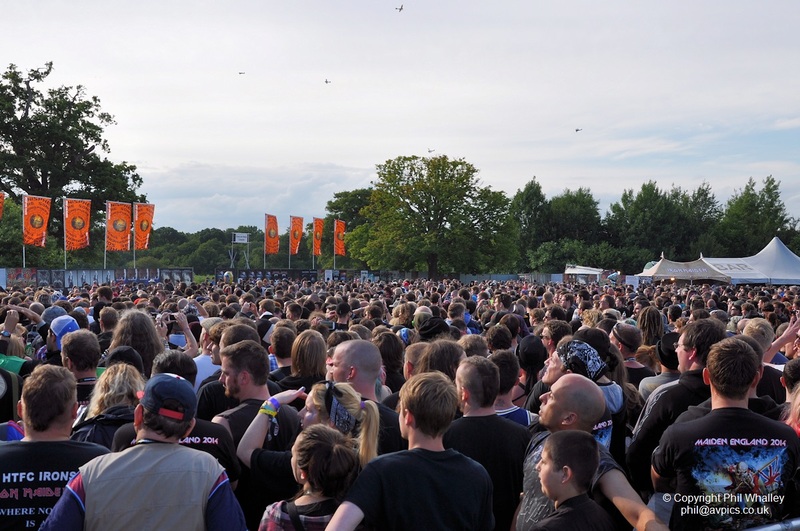 The tens of thousands of heavy metal fans who had gathered early by the main stage area especially for the display – supported by Maiden’s Trooper beer brand and titled ‘Fokkers at 6 o’clock’ – were clearly appreciative of the unique occasion, especially when commentator Stephen Slater highlighted Dickinson’s parts in the complex routine! 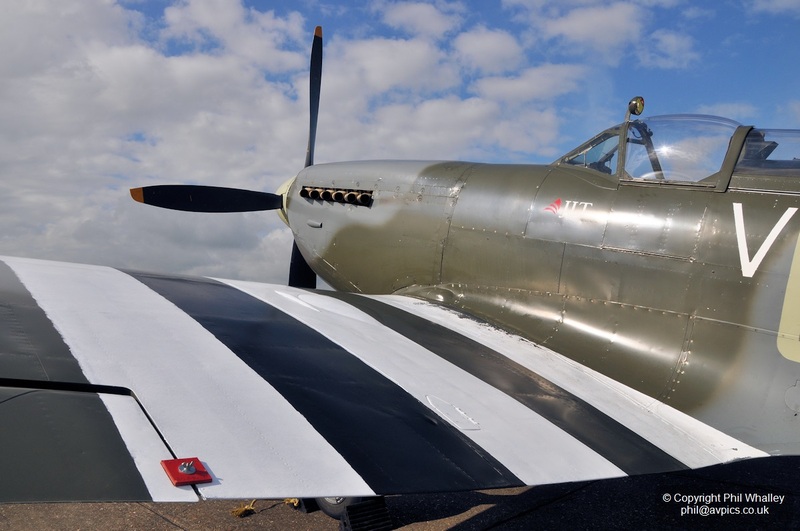 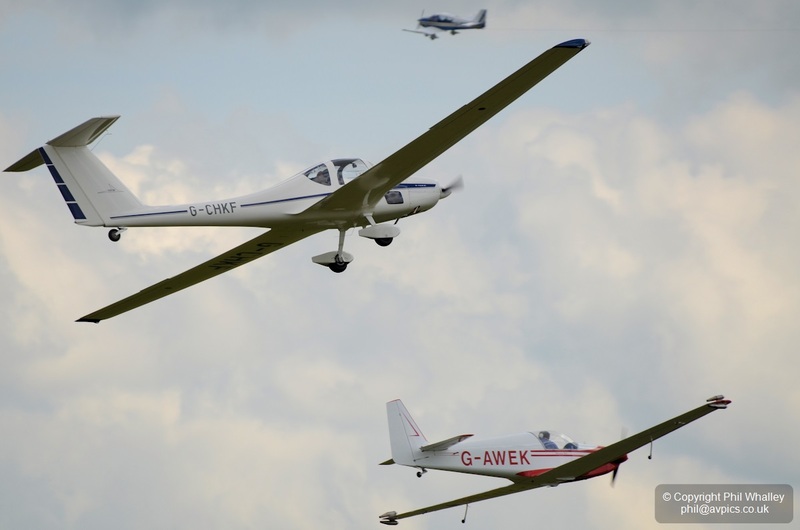 Although much of the FoS is centred around the various four and two wheeled aspects, there is a winged presence both in the air and on the ground. 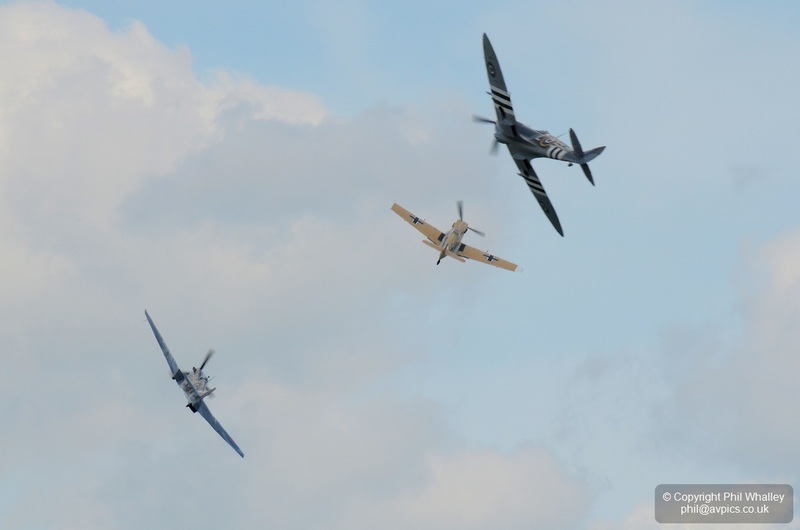 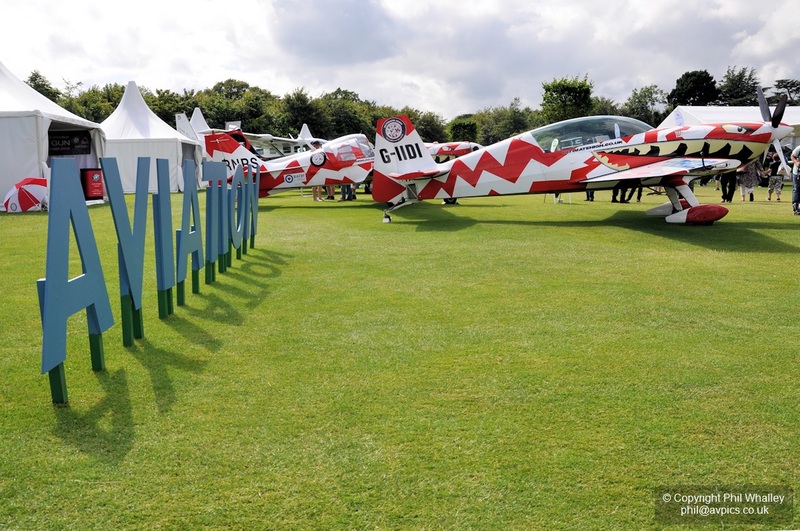 The ‘Aviation Exhibition’ included Goodwood Aviation’s Harvard (with friends! 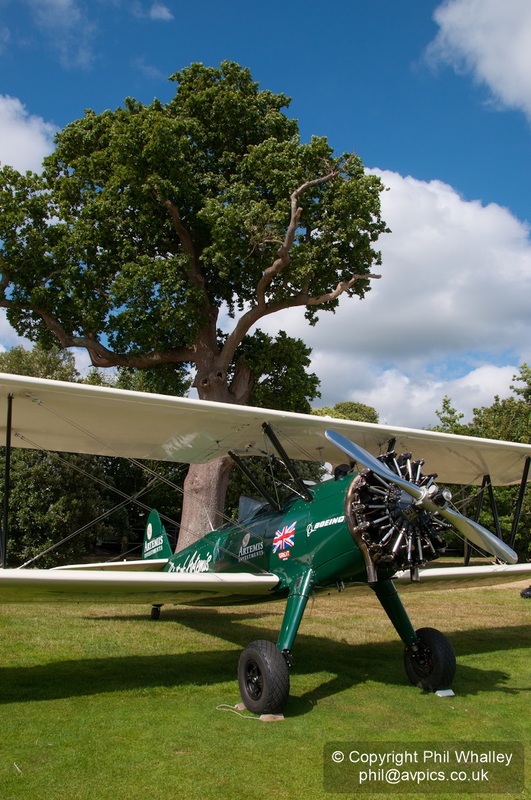 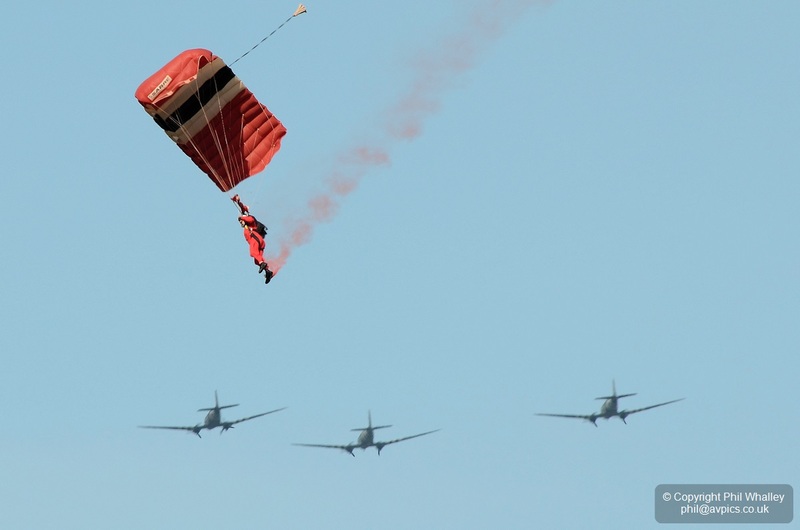 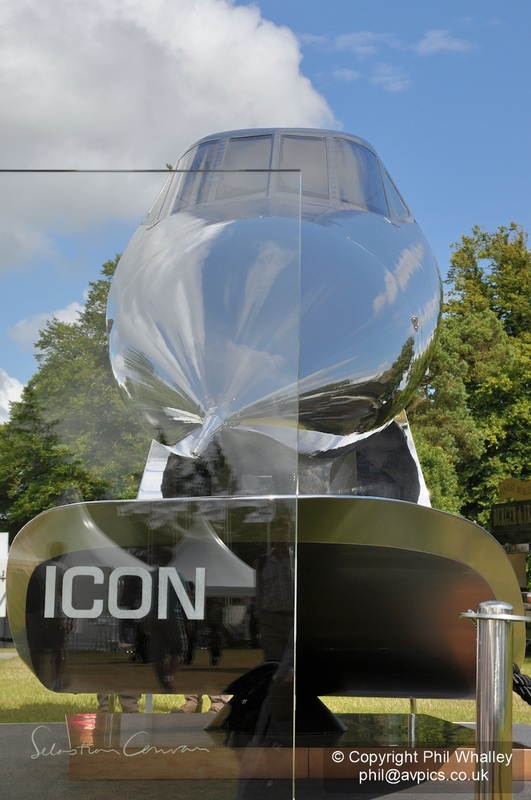 ), Ultimate High’s Extra 300 and Bulldog, Tracey Curtis-Taylor’s Stearman as well as a number of showroom examples from Bell, Cessna and Beechcraft, and various sales tents and features such as the ICON sculpture illustrated below. 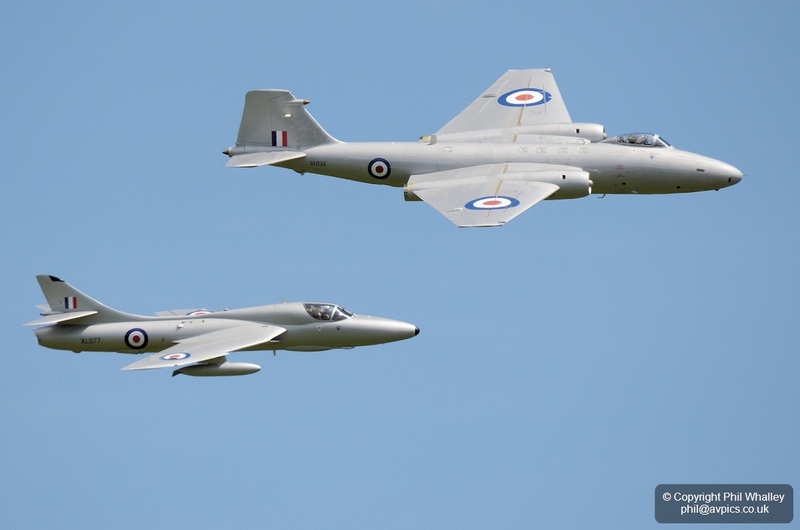 The area was sponsored by Midair (in association with Air BP and Textron) whose Canberra and Hunter would also take part in the air displays. 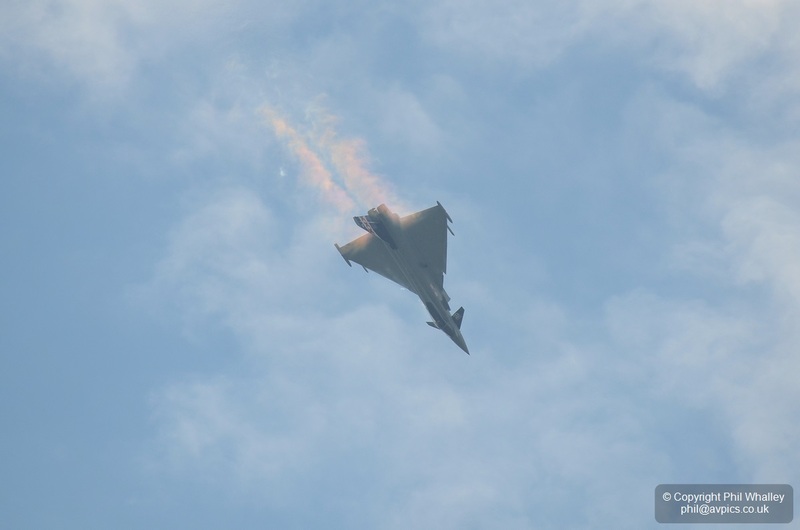 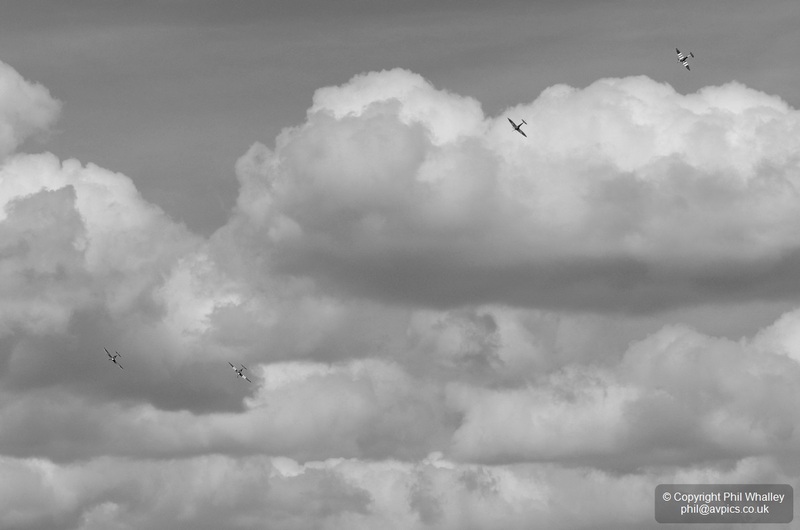 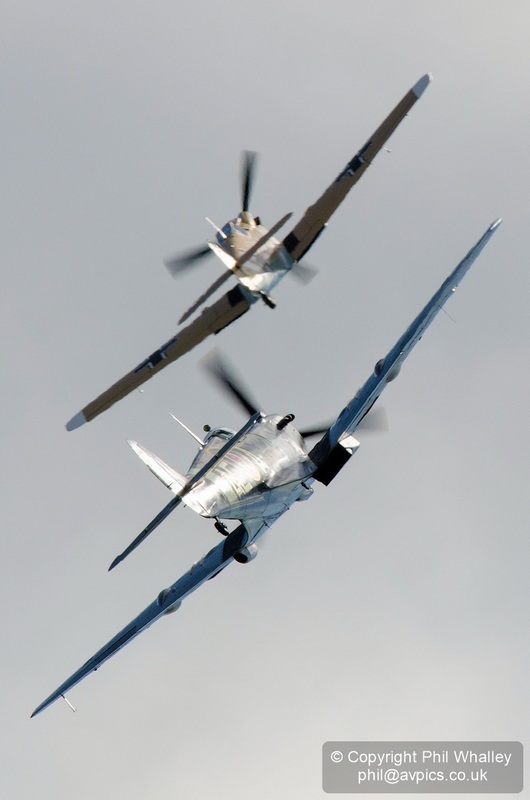 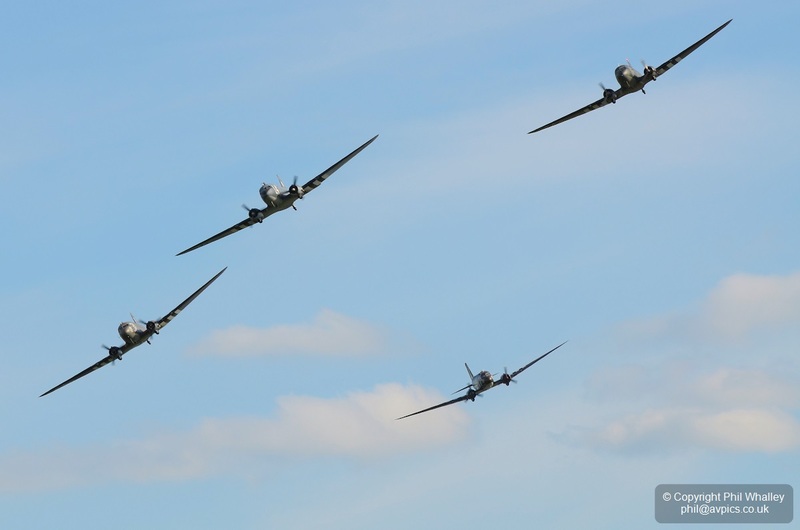 Other aircraft seen in the air were the RAF’s Red Arrows and Typhoon and Avro Vulcan XH558. 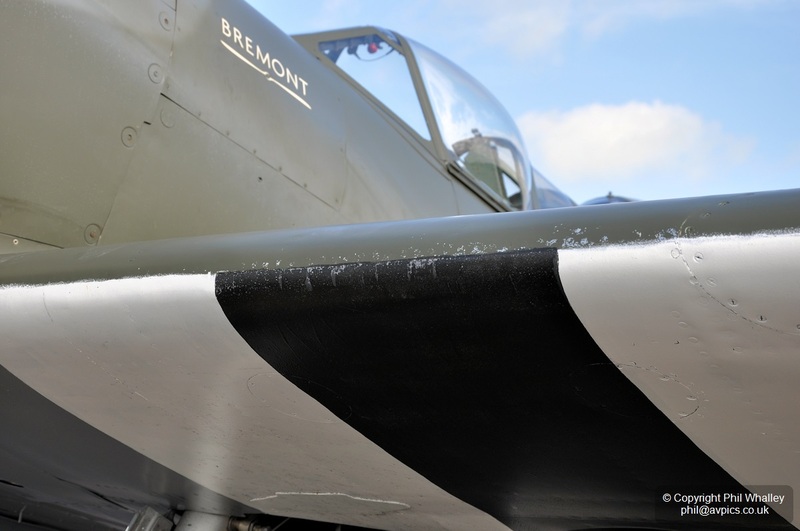 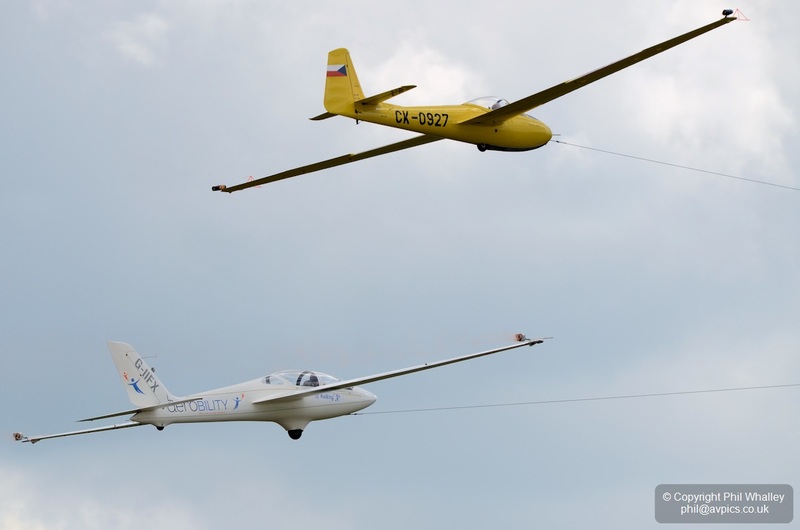 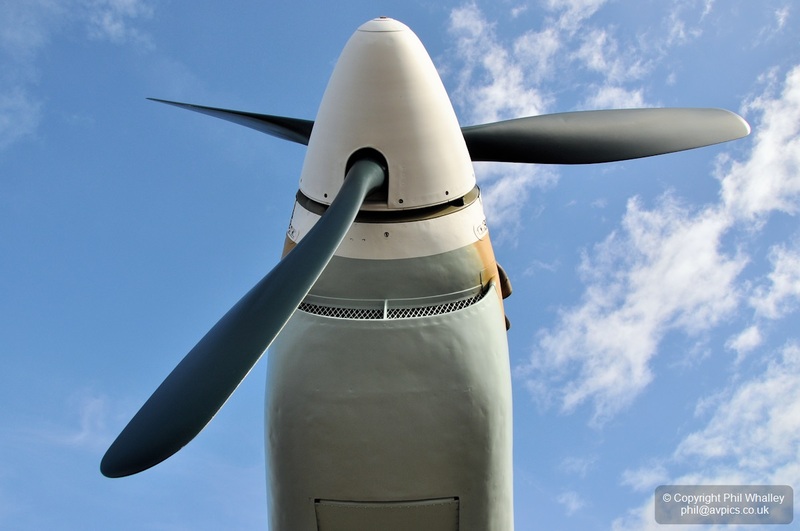 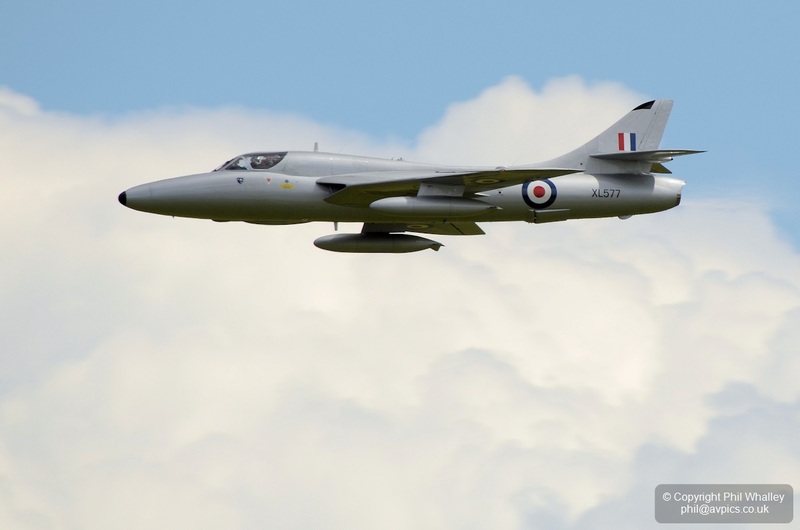 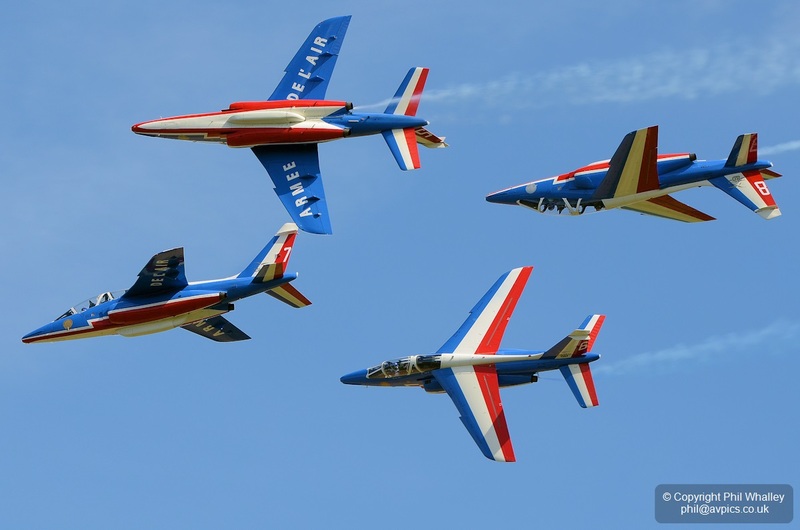 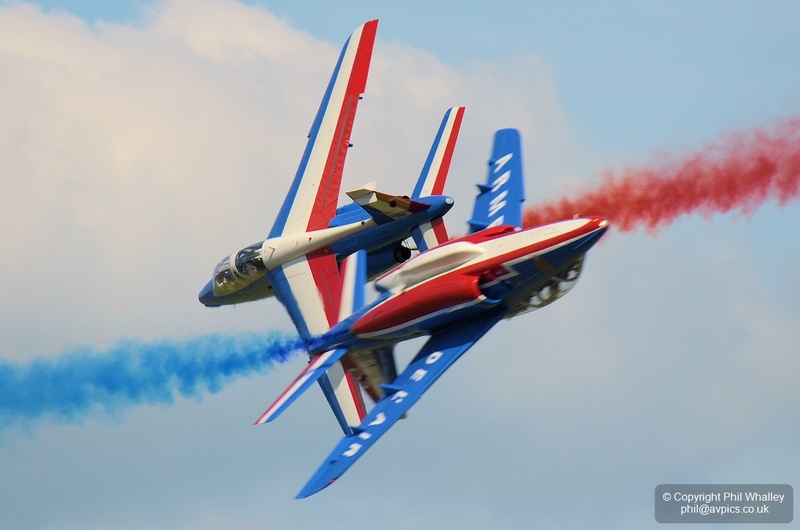 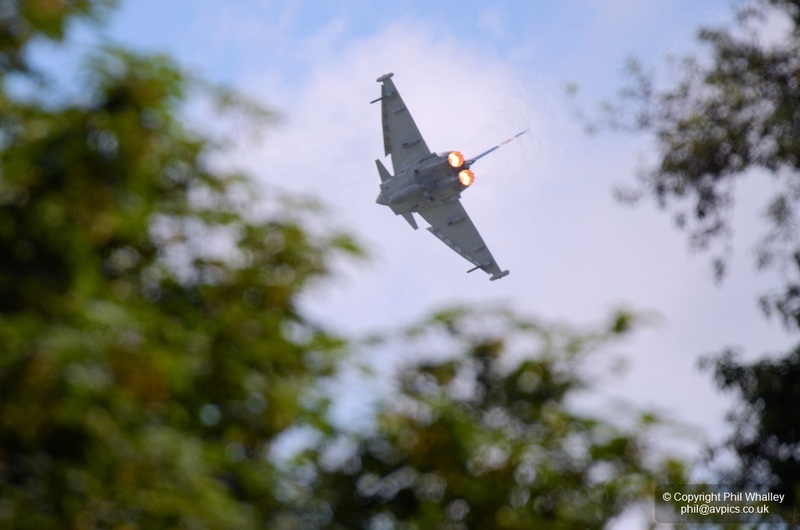 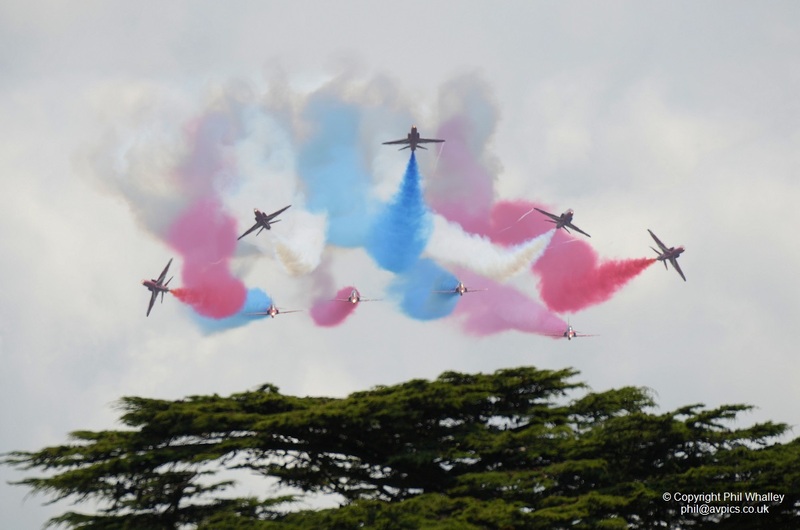 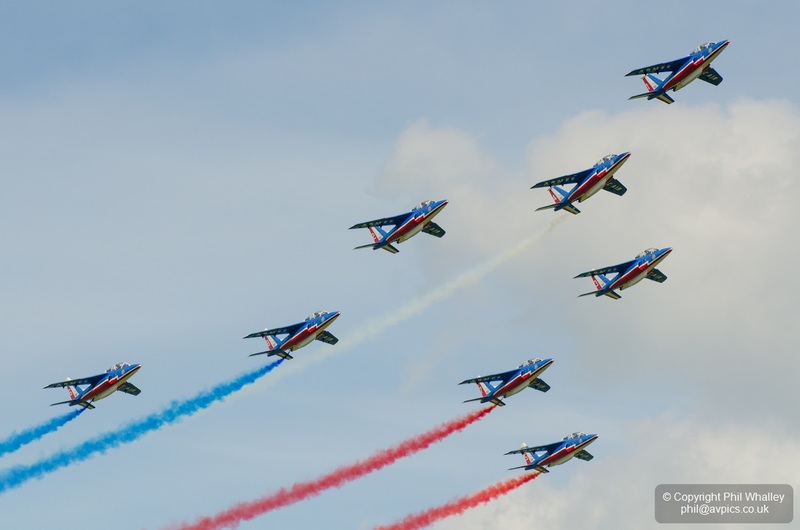 ‘The Goodwood Festival of Speed air display took a new turn on Sunday, as the Midair Squadron Hawker Hunter XL577 set a flown time of 9.98 seconds across the notorious Goodwood Hillclimb in front of Goodwood House. 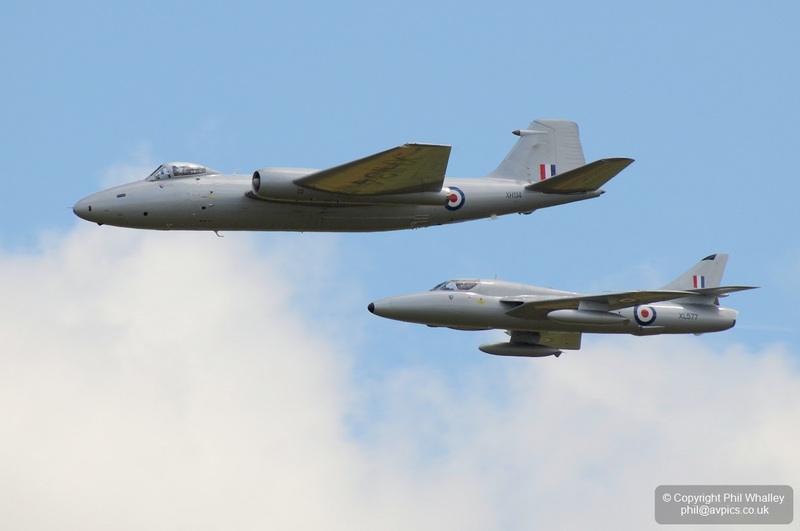 As the first and only attempt of this kind, the Hunter, piloted by Squadron Leader Dave Piper (retired) reached a top speed 361 knots (415 mph), as he weaved his way to the top of the course. 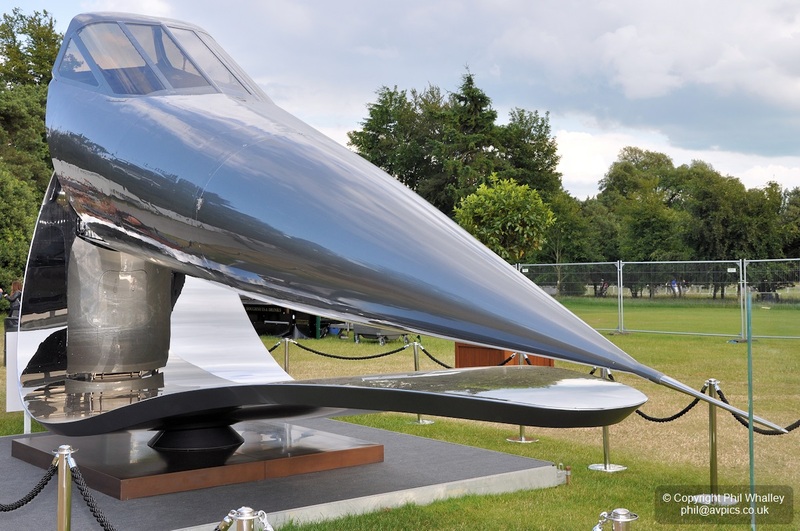 Marking the fortieth anniversary of Concorde’s first transatlantic flight Sebastian Conran’s ‘ICON’ was displayed at the Goodwood Festival of Speed Aviation Exhibition as an art sculpture celebrating British engineering. 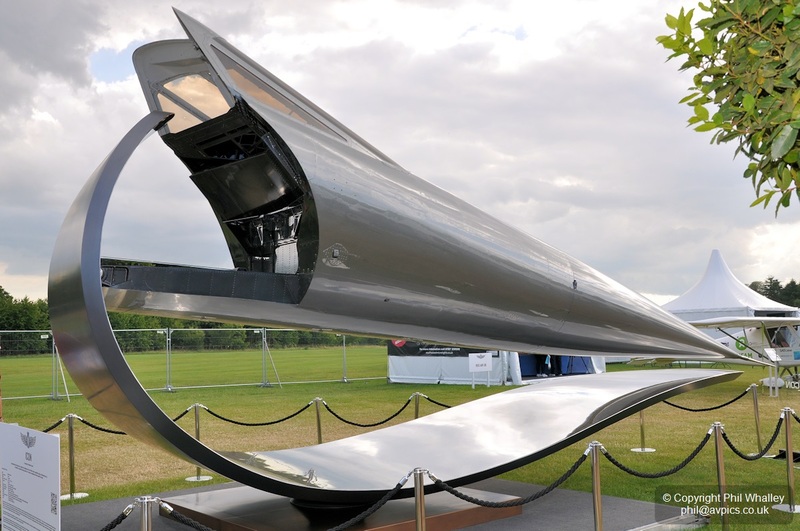 Using the nose section of the sixth Concorde – a test airframe – the sculpture was unveiled in 2013 at Royal Ascot after six years of work. 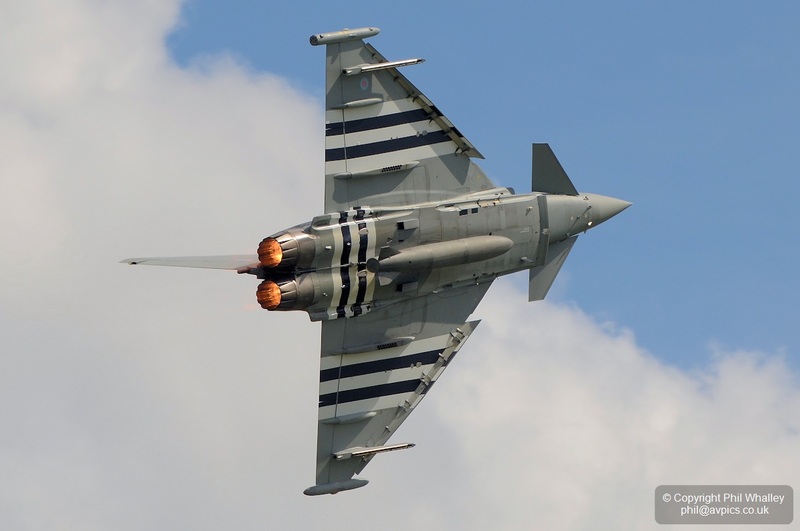 The airframe was in use at Farnborough until 1983 after which the forward section was gifted to Brooklands, where much of the work towards the Concorde programme took place. 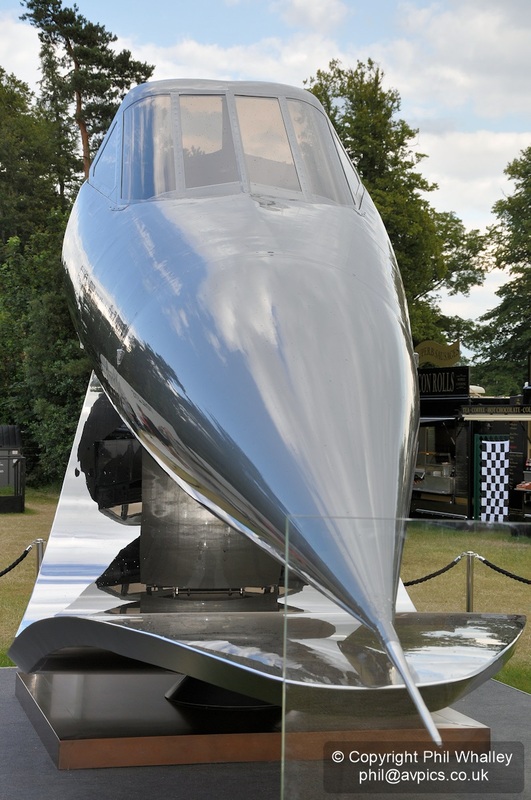 The nose section was later sold to raise funds towards the restoration of complete Concorde G-BBDG. 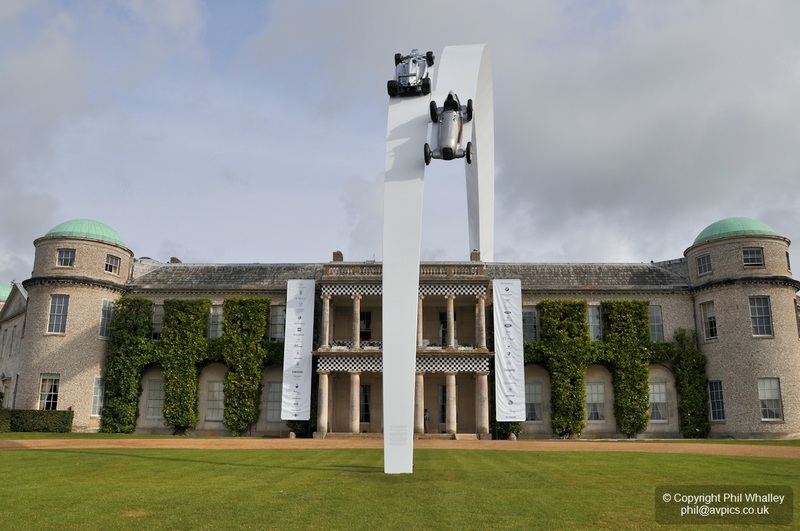 The future of the sculpture has yet to be decided, but has understandably attracted a great deal of interest. 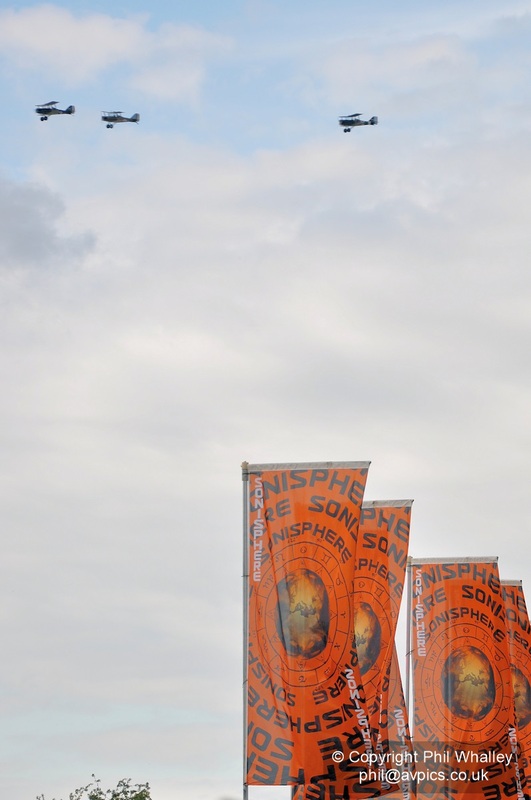 One consideration has been for mounting on the fourth plinth in Trafalgar Square. 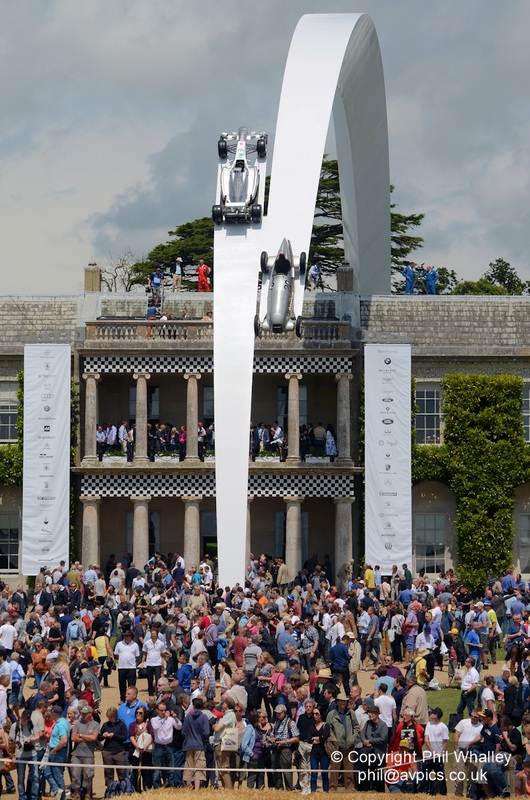 Every year of the FoS is marked by the construction of a central feature, or sculpture, positioned in front of Goodwood House. 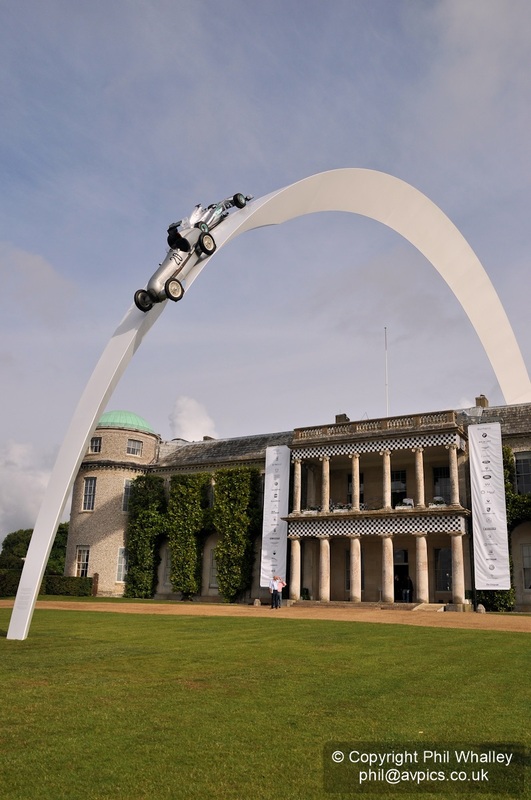 For 2014 it was the turn of Mercedes-Benz to celebrate 120 years in motor sport with the unveiling of the largest feature to date, which for the first time arched right over the house and required that it was evacuated for safety whilst assembly took place using a number of heavy lift cranes. 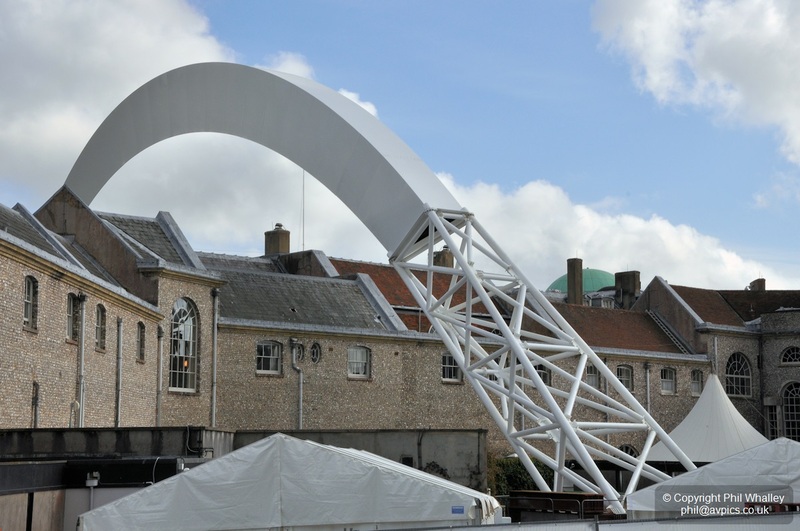 Designed by Gerry Judah with structural engineering by Capita and Littlehampton Welding, the sculpture measures 45 metres in length, rises 26 metres in the air and weighs 160 tonnes. 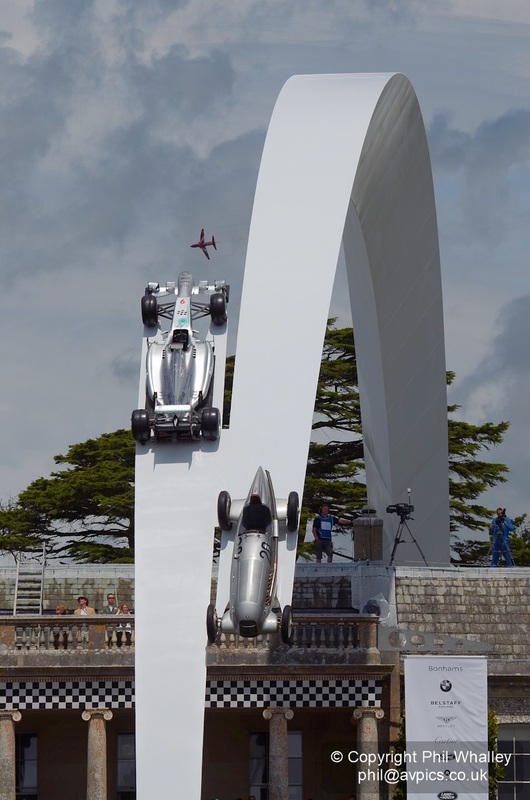 The two cars that appear to be passing each other over the house are a replica of a 1934 Mercedes-Benz W 25 Silver Arrow, and a Mercedes AMG Petronas F1 W04 – the same chassis raced by Lewis Hamilton in fifteen Grands Prix in 2013. 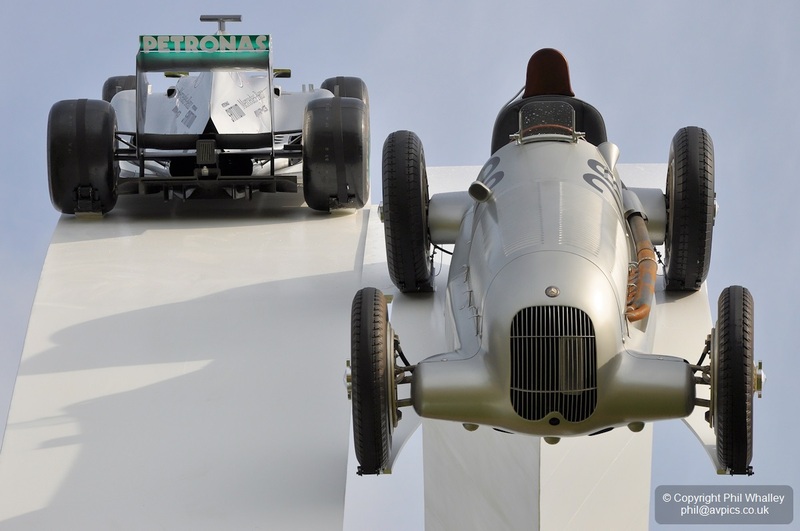 Together, the W25 and the F1 W04 show the first – and currently last – of the eight-cylinder Silver Arrows Grand Prix racers, spanning eighty years of motor racing. 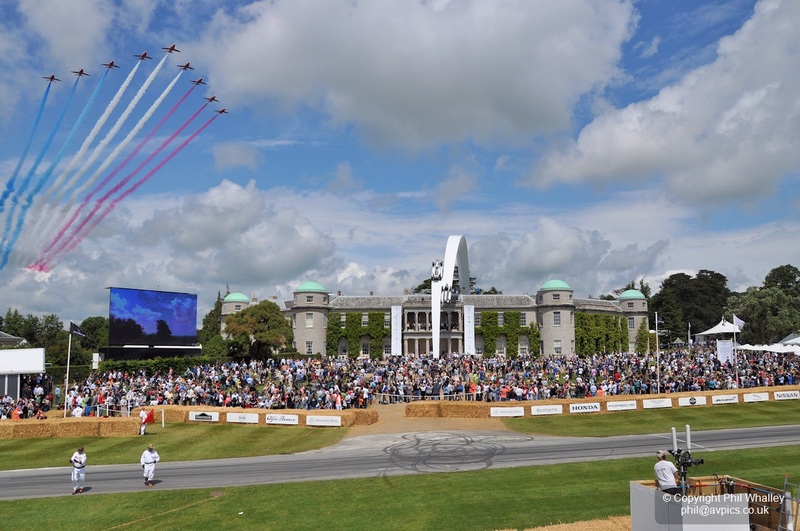 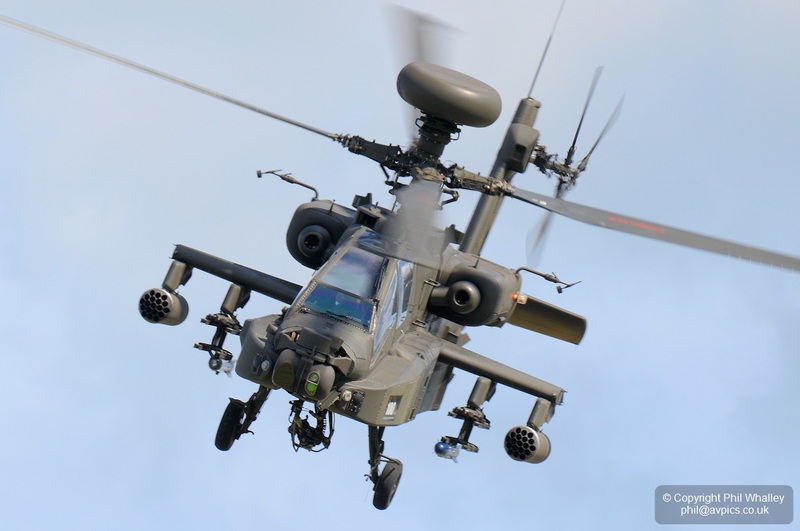 The roof and balcony of Goodwood House also make perfect vantage points for the airshow commentary and control personnel. 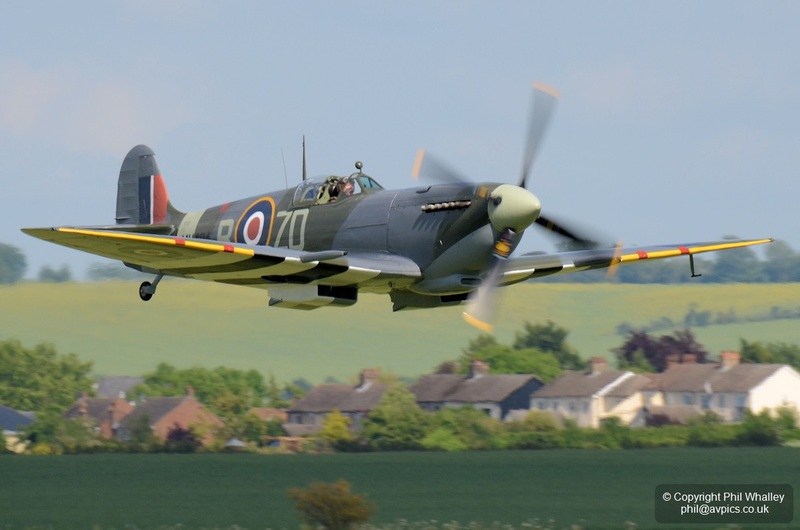 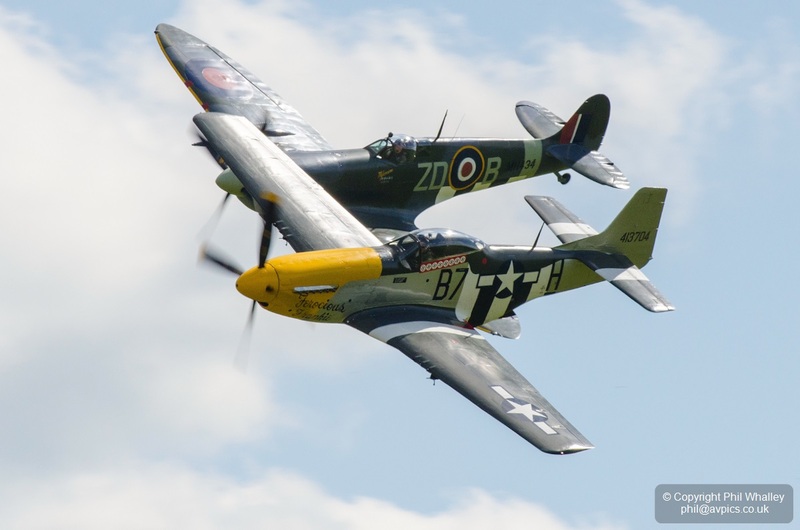 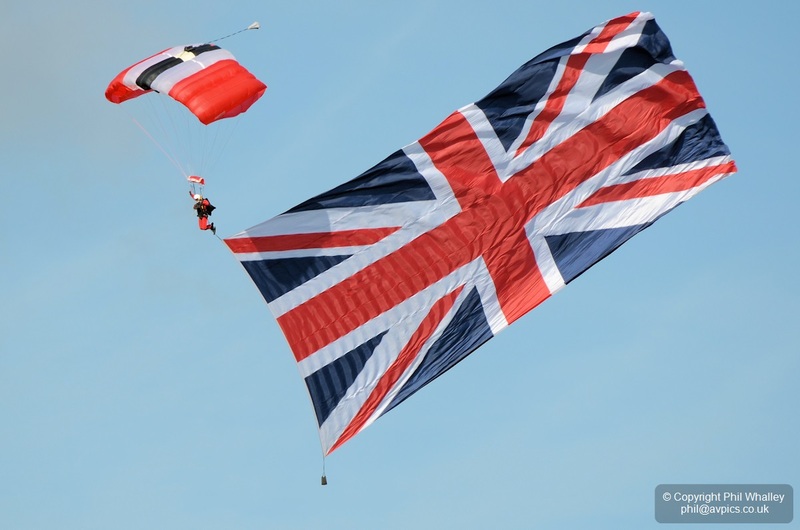 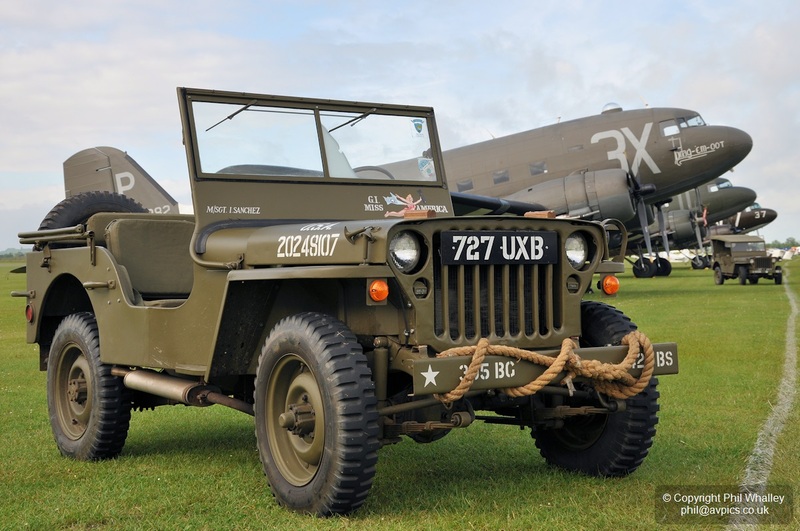 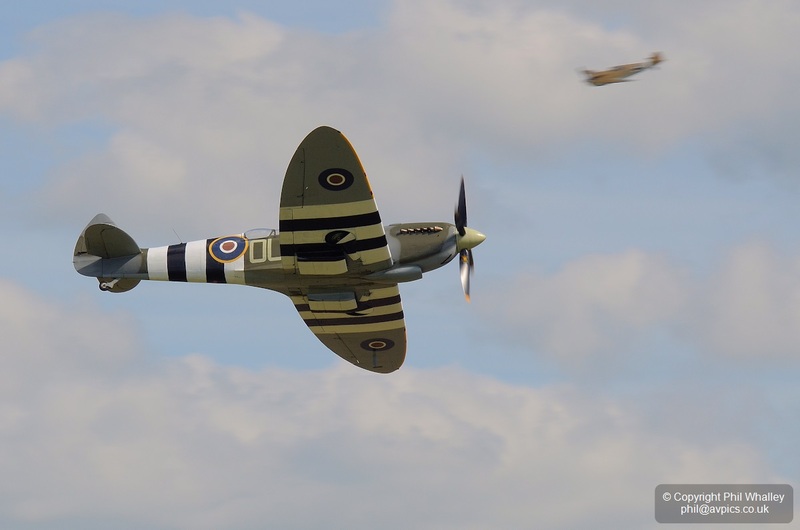 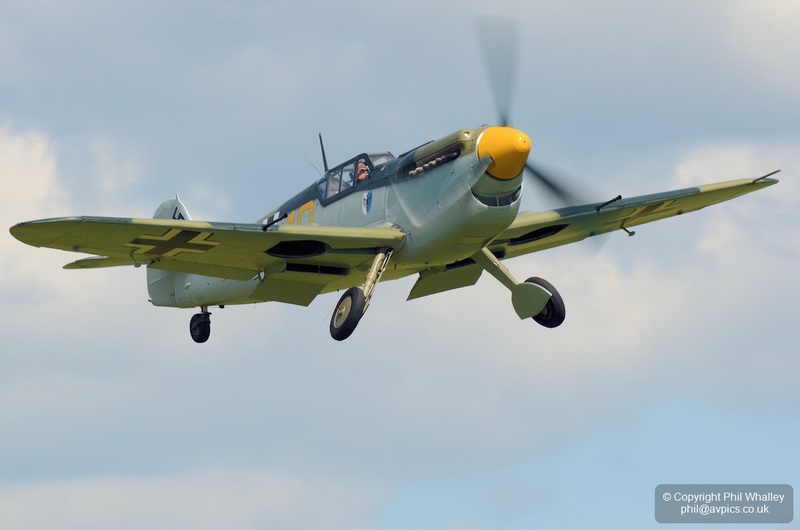 Following on from the success of the 2013 event at Rayleigh the South Essex AFD team went on to organise a larger such show in grounds of Barleylands Farm near Billericay, Essex. 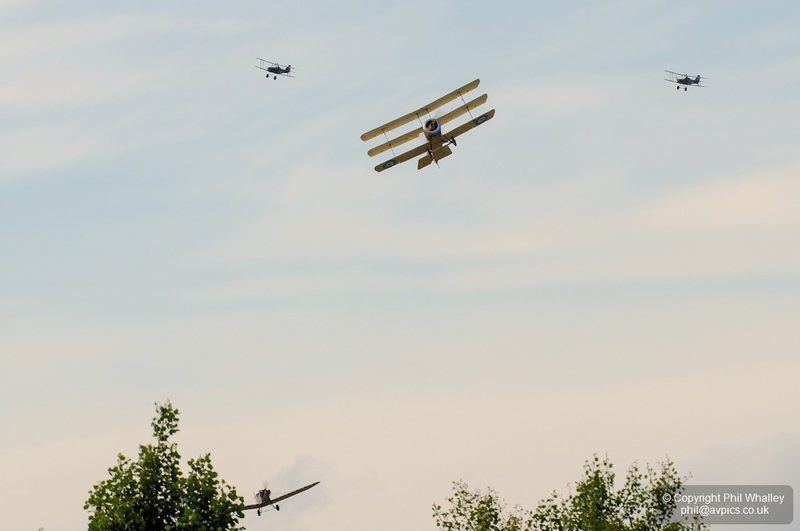 The surrounding open fields allowed for full air displays rather than the previous flypasts, and these included a full nine aircraft appearance by the Great War Display Team – fittingly operating from the WWI aerodrome of Stow Maries – and the first three-ship display by the Gnats Display Team with yellow schemed G-MOUR as the latest addition. 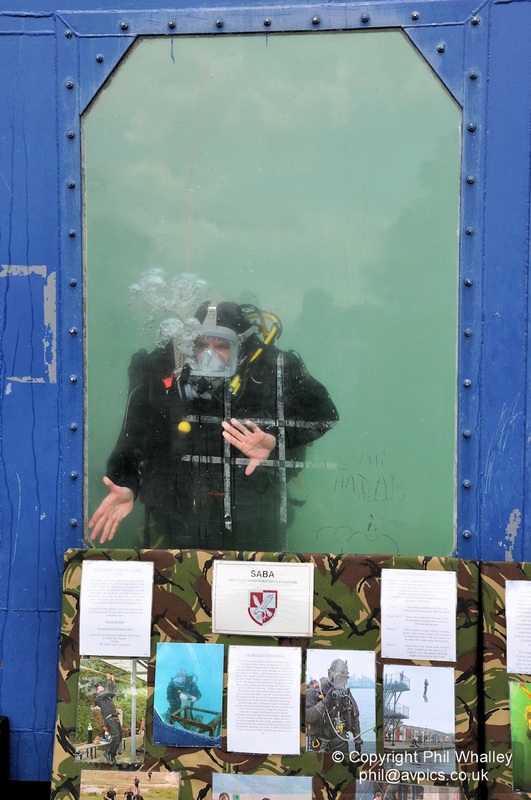 Ground attractions included the IMPS motorcycle team, Blue Falcons gymnasts, army demonstrations, dog agility, cadet bands and singers (Charlotte Meldrum pictured) and comedians. 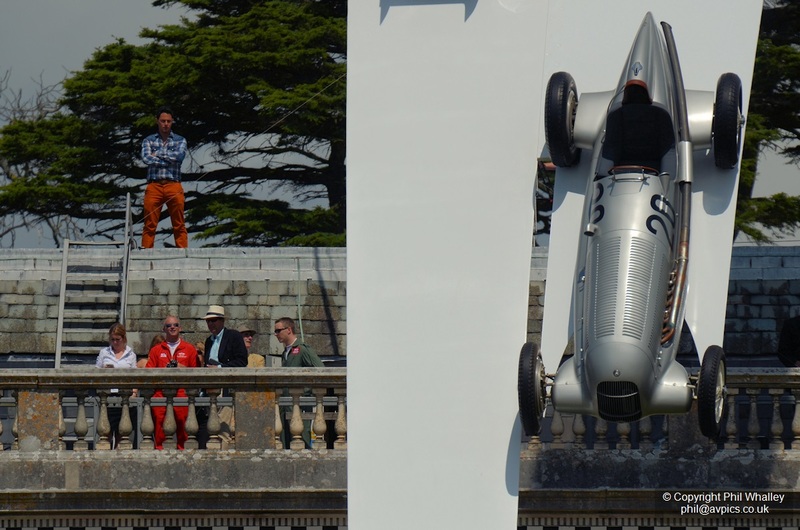 The following is a photographic round-up of the 2014 event, which will hopefully be repeated in years to come.